Ready for Oscar's big night tomorrow? It's sure to be an exciting evening, especially since the Best Picture race appears to be extremely close between 12 Years a Slave and Gravity (with a chance of American Hustle as a spoiler). Exciting! 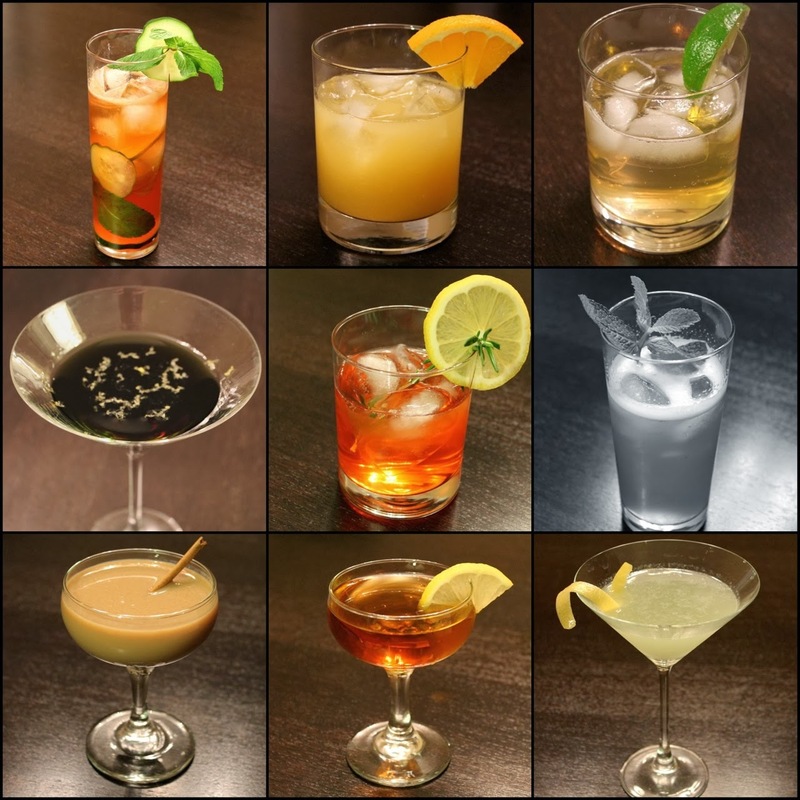 There's still time to plan your Oscar party, which could include any one or more of my Oscar cocktails. You can find all the recipes in one place here. I've also suggested a couple of Oscar party snacks: Bacon-Wrapped Blue Cheese-Stuffed Dates and homemade Cracker Jack. Last year, I suggested a number of other ideas. You'll also want an Oscar Ballot: Red Envelope has a fun one with the top categories and best/worst dressed. 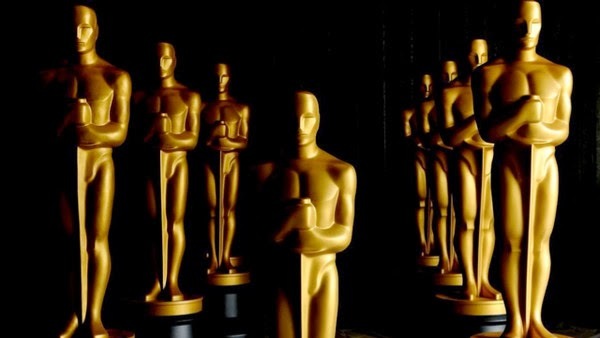 Moviefone's ballot includes all 24 Oscar categories. The table below shows the ingredients for all of the drinks with notes about the ingredients and suggested substitutions. To make all the drinks as I originally wrote them would require a lot of booze and other ingredients. This table can help you simplify the drinks to make it easier if you want to offer multiple ones for your guests. They might lose a little in the translation, but would still be great drinks. Ingredients are grouped by type, starting with the spirits, liqueurs, mixers and garnishes. Click on the drink name to go to the drink's original post. 1. The gin in the Dallas Buyers Club is specifically barrel-aged gin; whiskey might make a better substitution than standard dry gin. 2. Sloe gin is pretty different than standard gin, so I wouldn't recommend just substituting gin for sloe gin, especially in the Gravity, where the sloe gin's dark red color is important for making the drink black. 3. The vodka in Blue Jasmine is citrus vodka infused with jasmine tea. You could skip the infusion and also just use regular vodka. 4. Vodka could be substituted for moonshine in the Nebraska. 5. Rye whiskey and bourbon could be used interchangeable in the Philomena and the 12 Years a Slave. 6. Regular brandy could be used instead of apple in the 12 Years a Slave. 7. Lillet blanc is similar to dry vermouth, which could be used instead for the Blue Jasmine. 8. Dry vermouth is not an acceptable substitute for sweet vermouth. 9. Aperol and Campari are similar - they are both Italian aperitifs, which Campari being a little more bitter. I think they could work interchangeable in the American Hustle and you could use just one in the Her. 10. Green Chartreuse is the stronger (and more expensive) cousin of Yellow Chartreuse. You could substitute Yellow Chartreuse or another herbal liqueur in The Wolf of Wall Street. You could also substitute absinthe, which would still give you a green hue, although it's stronger, so watch the potency. 11. Other orange liqueurs, including triple sec, could be used in the American Hustle. 12. The pale ale I used for the Nebraska was Dale's Pale Ale. I don't recommend substituting an IPA, since it has a more assertive flavor. Look for American pale ales. You could also use another type of beer, including a lager. 13. I used San Pelligrino Limonata soda for the Her. You could substitute a more common American brand of lemon-lime soda, like 7-Up, but this will make the drink sweeter. 14. Somali spice syrup is an original ingredient in the Captain Phillips made from water, sugar, cumin seed, cardamom pods, cloves and a cinnamon stick. You could substitute standard simple syrup or omit the syrup. Hats off to you. You put a lot of work into this year's Oscar cocktails and a lot of work into making this chart. I hope your readers used it to create wonderful Oscar parties!